and Protect Your Privacy on Internet. 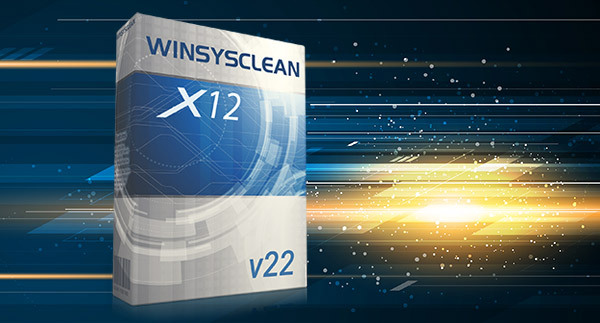 With over 2000 cleaning and repair functions WinSysClean reduces the junk files to minimum and makes Windows to use less memory, free more system resources and operate without errors which results in faster PC performance. Repair Windows errors by fixing registry entries which points to incorrect system files. WinSysClean also cleans the windows registry by removing obsolete entries left by uninstalled software which greatly improves the PC performance. WinSysClean include Windows tuning functions like; desktop customizations, system special desktop shortcuts, repair Internet Explorer favorites, System Monitor graphs (cpu, memory, disk, windows services and drivers monitor) and much more. Over 16 million downloads and more than 16 years of experience in Windows Registry Repair Tools. WinSysClean scans all Windows files and Registry records for errors, from drivers to applications using complex Windows Registry analisys. Windows Driver Errors or registry entries pointing to missing drivers are automatically fixed by WinSysClean. The most powerful PC app cleaner yet. Over 40% more than other cleaners. Leader in Windows Tools since 1998. The most effective Registry Cleaner and Windows repair tool since 1998. WinSysClean uses advanced registry and file analysis in order to detect invalid entries. Only the safe scan results are displayed for user confirmation. This version of WinSysClean have 85 Windows repair and cleaning functions and over 1900 apps cleaning functions plus many Windows tune-up tools. Remove all traces / history of your Internet and computer activities. Remove traces from viewed pictures, viewed documents and visited websites. Fix Windows Errors by removing invalid registry entries which points to missing files, missing links inside registry and temporary/unused files. Monitor the CPU / Processor usage, with support for up to 32 cores, Physical Memory Load / Usage monitor and Physical Disk Load / Usage graph. This graph displays how much time the system disk drive / HDD is used for reading and writting data. Optimize your Windows Performance by removing temporary/unused space wasting files, unused and invalid registry locations and invalid shortcut links. This results in a faster PC performance and more free system resources. Windows desktop tune-up, special desktop shortcuts, fix Internet Explorer favorites, System Monitor graphs (cpu, memory, disk, services and drivers monitor). The graph supports zoom and scroll through hours of recorded data. Temporary Internet Files and Garbage files accumulate over time, occupying Gigabytes of space on your Hard drive and slowing down your computer. WinSysClean will remove these files and recover the lost space from your computer. The error files that WinSysClean searches for and deletes can produce very hazardous results if not properly cleaned from your PC on a periodical basis. All this tasks are done by Professionals periodically by hand, now you can do it with just a single mouse click!, without being affair of damaging something. If the System disk drive have very low space, it can cause total malfunction of the Windows System. All these sympthoms can be reduced/avoided if you clean your system/drive periodically ! These garbage files accumulate over time, occupying Gigabytes of space on your Hard drive or SSD. WinSysClean will clean these files and recover the lost space from your system. Regular use of WinSysClean will prevent these files from accumulating and wasting valuable disk space. All our software programs are 100% CLEAN ! We are constantly refuse proposals from other companies to include their bloatware with our software. The installers from our software (including the software) does NOT come with any bloatware, spyware or mallware! Many companies chose to install forced software on your computers for money, we are against this practice! We find annoying and intrusive to get something on your computer without your will which you may not want or need! Scan your PC with WinSysClean Now! Run a FREE Scan! Buy Now! Please note that the actual images are resized and compressed and have lower quality than the original software. Testimonials from some WinSysClean users. Great product! much better than other Windows cleaning tools. I am WinSysClean user for 6 years and I use it at work and at home. easy to use and is fast! You can upgrade any time to PRO version. Which WinSysClean version is right for you?